on your Fall getaway. Here are 7 reasons to visit Greenhorn Ranch this Fall. Being a graduate of the Culinary Institute of America, Jeremy “Drew” West is the unsung hero of the ranch. After growing up in the South, Drew has an incredible talent for real, authentic barbecue that has Greenhorns salivating for their next meal. One of his favorite ranch dishes is ropo viejo tacos - a blend of his Cuban-influenced culinary roots and the West Coast cuisine he caters to daily. 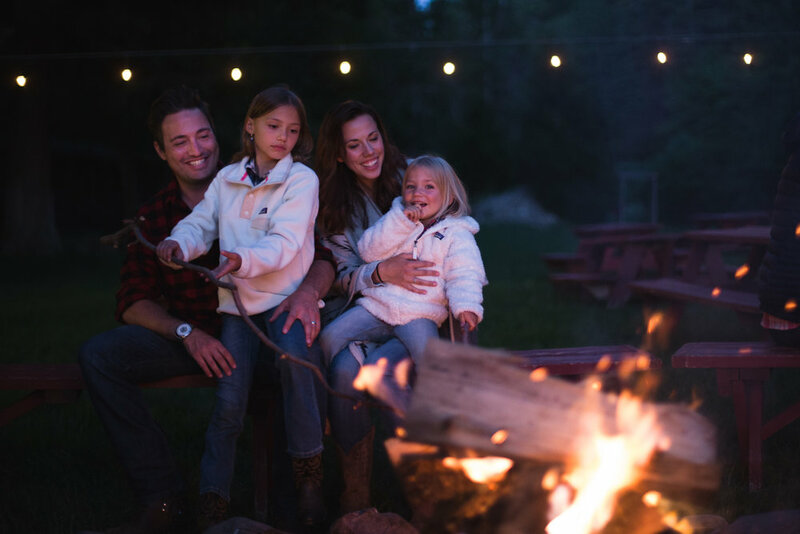 After a day of enjoying all that the ranch has to offer, It’s time to throw out a cozy blanket and pillows, bundle up, and grab your loved ones for an unforgettable movie night under the stars. Fall movie nights are the perfect chance for you to relax and enjoy a great movie with your kids. We’ll bring the popcorn! 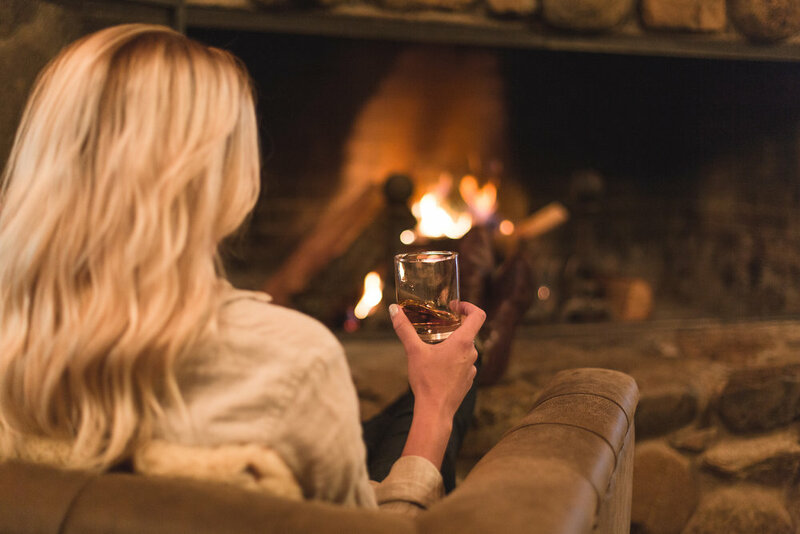 If it weren’t for the beauty of the ranch and endless outdoor activities, one may find themselves never wanting to leave our newly renovated lodge. It’s beautifully designed rustic interior has everyone who enters feel immediately relaxed and ready to cozy up by the fireplace. A two-story retreat, our lodge houses 12 rooms that can sleep up to two adults comfortably. On the first level, the focal point of the lodge features a wood-burning fireplace and communal living space. We have hosted many family gatherings, holidays, reunions, and events in our lodge. If you would like more information on reserving the lodge for Thanksgiving weekend, please call (530) 283-0930. Our extensive trails go on for miles and miles. Hike, mountain bike, or simply let yourself wander through the trees of California’s “Lost” Sierra. The trails are a great place to be one with nature, alone with your thoughts, and connected to Mother Earth. Plumas County may be rural but there is no shortage of sites and attractions to visit while you stay at the ranch. The Brewing Lair, a short 20-minute drive, takes craft beer seriously. With 3 signature craft beers on tap, and an array of seasonal beers, there is sure to be a tasty brew to please any beer critic. Sierraville Hot Springs is an experience unlike any other. Soak your muscles in the peaceful hot spring after a fun day of activities. Other nearby attractions include museums, golfing, fishing at neighboring lakes and ponds, and, in the Winter, historic longboard races. The memories that will be made during your stay at Greenhorn Ranch are sure to stick with you for a lifetime. A Fall getaway is a vacation that can rejuvenate your soul and connect you to what matters most. Your children will gain an entirely new appreciation for the outdoors and so will you. For more information on reserving the lodge for your Thanksgiving weekend, please call (530) 283-0930.